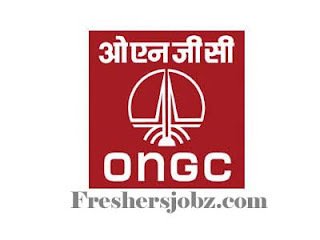 ONGC Recruitment 2018.Oil and Natural Gas Corporation Limited has released a notification for the recruitment of Field Medical Officer,General Duty Medical Officer,Medical Officer, Physician and Paediatrics vacancies.Check the eligiblity and notification prior to apply for the positions. AAI Notification 2018. Airports Authority of India has released a notification for the .recruitment of Site Engineer/Consultant vacancies.Check the eligiblity and notification prior to apply for the positions. 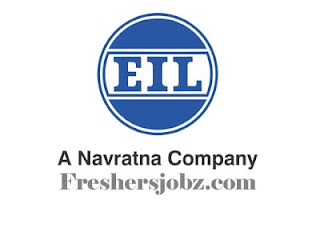 Eligiblity: The candidate should be an Engineer (Civil / Electrical) retired from AAI, other PSUs, Central/State Government Department.The minimum experience should be of ten years in the relevant field. The eligible candidate should be clear from vigilance / disciplinary angle at the time of retirement. In this regard, the candidate has to submit supporting document from his previous Govt. Department. Period: The duration of engagement of Consultant, shall be for (01) YEAR which may be further reviewed and renewed as per requirement. However, the services of the Consultant may be terminated at any time by giving one- month notice without any liability and the decision of the Management will be final. Objectives: The Consultant, irrespective of the level of officer, shall be responsible for estimation, site supervision, Quality control and Quality Assurance, record of construction & preparation and certification of bills etc. complete for all Engineering measurements, works. 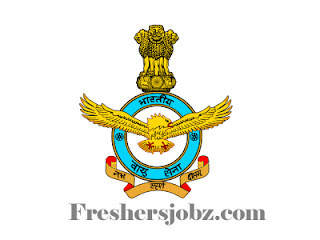 On engagement, the Site Engineer / Consultant shall be under administrative control of the Airport Director of nearest AAI Airport and under Technical control of General Manager (Engg.) posted at the nearest Airport / RHQ. 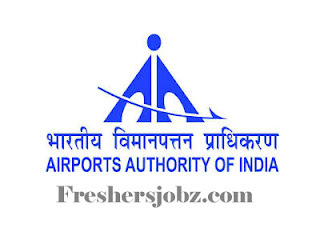 The authority with regard to writing / signing / submission of statement for the work assigned / to be assigned, to the Consultant shall be of Airport Director.. . or duly authorized AAI Official. The Consultant shall not write any letter to any of the authority inclusive of Central / State Govt. at his own. Remuneration: The Consultant shall be paid a lump-sum remuneration of the last pay drawn by the official from his previous employer i.e. Last Pay Drawn + DA - (Basic Pension + Dearness Relief thereon), in case of retired officials from other PSUs / Central / State Govt. In respect of the retired officials from AAI, the existing guidelines issued vide CHRM 13/2015 would be applicable. There shall be no increase in this lump sum remuneration during the complete period, at any case. Age: The retired officials should be medically fit of age not more than 63 years. 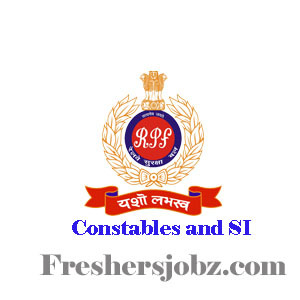 RPF Notification 2018.Railway Protection Force (RPF)/ Railway Protection Special Force (RPSF) has released a notification for the recruitment of Constables and Sub Inspector vacancies for male & female candidates.Check the eligiblity and notification prior to apply for the positions. 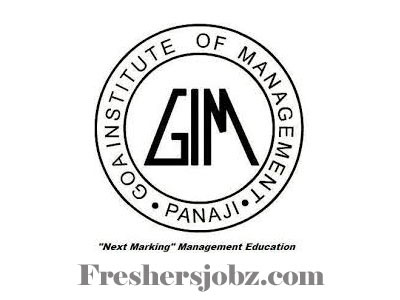 GIM Recruitment 2018.Goa Institute of Management has released a notification for the recruitment of Faculty Positions.Check the eligiblity and notification prior to apply for the positions. Candidates should have completed first class Masters degree/PhD or equivalent from any recognized university. 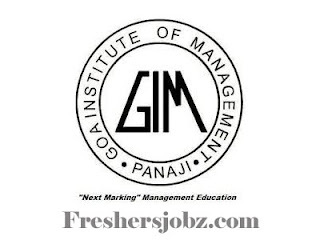 The Director, Goa Institute of Management, Village Poriem, Sankhali, Sattari, Goa 403505. CMSS Recruitment 2018.Central Medical Services Society has released a notification for the recruitment of Pharmacist vacancies.Check the eligiblity and notification prior to apply for the positions. 1. Educational Qualification: D. Pharma / B.Pharma degree from a reputed University/lnstitute recognized by the Pharmacy Council of India. An approved/registered pharmacist under the Pharmacy Act, 1984. 2. Experience: Minimum 8 years of post qualification experience in Pharmaceutical store/ warehouse functions (preferably as store/ warehouse in-charge) for D. Pharma degree holders and 6 years of post qualification experience in Pharmaceutical store/warehouse functions (preferably as store/ warehouse in-charge) for B. Pharma degree holders. 3. Tenure: Tenure of contract will be for 5 years. Retention after every year of tenure will be subject to satisfactory performance as assessed by DG&CEO, CMSS. 4. Main Responsibility: Orderly warehousing of various categories of products like quarantine, rejected, released, returned or recalls etc. Implementation of Good Storage Practices. Compliance of all statutory requirements and maintain records. Ensure storage at recommended environmental conditions, housekeeping procedure compliances, etc. Sampling as per the SOP. Selection will be purely on merit after screening of application, written test and document verification. 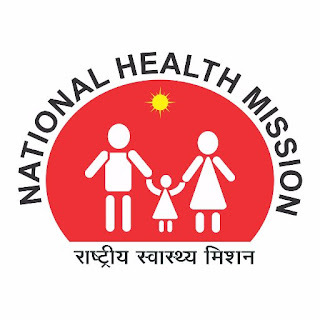 Address for forwarding application: General Manager (Administration), CENTRAL MEDICAL SERVICES SOCIETY, Annexe Building of IRCS 1, Red Cross Road, New Delhi-110001. Last Date of Application: 29.06.2018. ISC Notification 2018.The Institute of Science, Mumbai has released a notification for the recruitment of Assistant & Associate Professors vacancies.Check the eligiblity and notification prior to apply for the positions. Applicants age should be above 25 years to apply. Applicants will get salary based on organization norms.. Applicants can refer official site for fee details. If candidates applying more than 01 post should send separate applications. The Institute of Science, 15, Madam Cama Road, Mumbai 400032. GMU Recruitment 2018.Gangadhar Meher University (GMU) has released a notification for the recruitment of Professors, Assistant Professors and Associate Professors in various departments.Check the eligiblity and notification prior to apply for the positions. Contenders have maximum age limit up to 55 years. Professor: Candidates should have completed Ph.D. with minimum experience of 10 years . Associate Professor : Aspirants have to complete master degree with 55% marks and good academic record in Ph.D with minimum experience of 5 years. 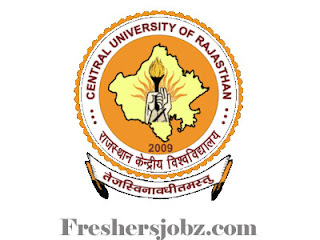 Assistant Professor : candidates should have passed masters degree with 55% marks,he/she has to qualified in NET (National Eligibility Test) and Ph.D.
selected candidates will payable monthly salary Rs. 37400-67000 along with AGP of Rs. 10000 for professor, Rs. 37400-67000 with AGP of Rs. 9000 for Associate professor and Rs. 15600-39100 with AGP of Rs. 6000 for Assistant professor. candidates need to pay application fee Rs 2500 for OC/OBC and Rs 1500 for SC/ST after completion of required details. 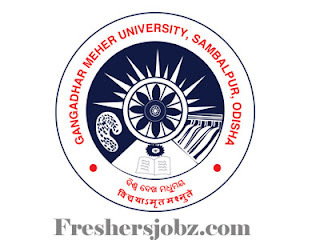 Candidates can apply only through online mode along with the relevant information i.e signature ,documents..
Gangadhar Meher University Sambalpur 768004, Odisha. 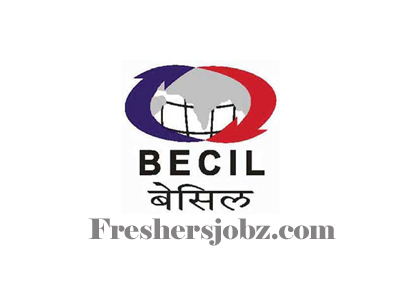 BECIL Recruitment 2018.Broadcast Engineering Consultants India has released a notification for the recruitment of Cameraman vacancy.Check the eligiblity and notification prior to apply for the positions. PBNRHM Notification 2018.National Health Mission Punjab has released a notification for the recruitment of Information & Computer Assistants vacancies.Check the eligiblity and notification prior to apply for the positions. To know about educational qualification, age limit candidates can go through official advertisement. Selected candidates will get pay of Rs.8,000/- per month. Through interview/ typing test candidates will be hired. 11th June 2018 there will be interview to hire Information Assistant post capable candidates. 12th June 20018 there will be interview to hire computer operator post capable candidates. Office of respective Civil Surgeons of the Districts. BHU Notification 2018.Banaras Hindu University (BHU) has released a notification for the recruitment of professor, associate professors , assistant professors, malaviya chair, centenary chair professor, centenary visiting fellow posts. Check the eligiblity and notification prior to apply for the positions. Candidates applying for teaching posts should possess post graduation degree/ M.Sc/ Bachelor’s degree from a recognized university in relevant disciplines with minimum experience. Candidates applying for Chair posts the outstanding scholar / writer with proven track record can apply. Maximum age for assistant professors is 45 years, for remaining posts the maximum age is 70 years. Selected candidates as centenary chair professor will get pay of Rs.100, 000/- and centenary visiting fellow will get pay of Rs.35,000-60,000/- per month. Through interview process candidates will be recruited. http://www.bhu.ac.in/rac/geninst.php is the link to apply directly and send the hardcopy to below given address by 07th July 2018. 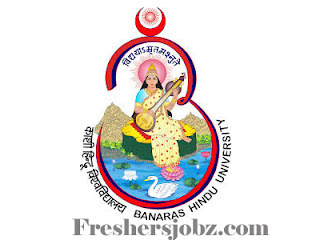 Office of Registrar, Holkar House, Banaras Hindu University, Varanasi-221005. 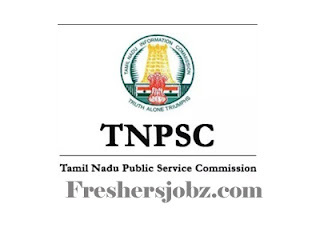 TNPSC Recruitment 2018.Tamil Nadu Public Service Commission has released a notification for the recruitment of Translator and Translation Officer vacancies.Check the eligiblity and notification prior to apply for the positions. Educational Qualification: B.L. Degree (3 years or 5 years) or its equivalent; OR Bachelor’s Degree with Tamil in Part-I; and B.G.L. 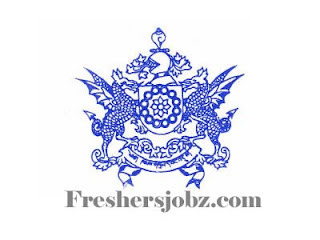 Degree OR Second Class Master’s Degree in Tamil; AND Proficiency in Tamil. Provided that other things being equal, preference shall be given to persons having previous experience in translation of Deeds, Agreements, Bills, Acts, Rules or Orders from English to Tamil. Application Fee: For One-Time Registration (Revised with effect from 01.03.2017 vide G.O. (Ms).No.32, Personnel and Administrative Reforms (M) Department, dated 01.03.2017), Those who have registered in the One -Time registration system and paid the registration fee of Rs.150/- and received the registration ID need not pay the Registration fee i.e., Rs.150/- and it is enough to pay the examination fee alone. Examination fee of Rs.150/- (Rupees One Hundred and Fifty only) is payable online through Net banking / Credit card / Debit card or it can be paid offline at SBI / Indian Bank within 2 days from the date of submission of online application, by choosing the option in the online application. Applicants have to register their basic particulars through One-Time Registration which is mandatory on payment of Rs.150/- (Rupees One Hundred and Fifty only) towards registration fee and then should apply online for this recruitment. 1. The rule of reservation of appointment is applicable to this recruitment. 2. In G.O.Ms.No.145, Personnel and Administrative Reforms(S) Department dated 30.09.2010 and G.O.Ms.No.40, Personnel and Administrative Reforms(S) Department dated 30.04.2014, the Government have issued orders to fill up 20% of vacancies in direct recruitment on preferential basis to Persons who studied the prescribed qualification in Tamil Medium. The 20% reservation of vacancies on preferential allotment to Persons Studied in Tamil Medium (PSTM) will apply for this recruitment (Applicants claiming this reservation should have joined and studied the prescribed qualification for the post in Tamil Medium and should have the certificate for the same. 3. The number of vacancies advertised is only approximate and is liable for modification including reduction with reference to vacancy position, at any time before finalization of selection. 4. 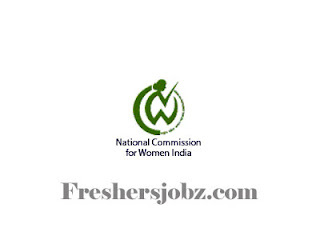 If no qualified and suitable women applicants are available for selection against the vacancies reserved for them, those vacancies will be filled by other eligible applicants belonging to the respective communal categories. 5. The selection for appointment to the above said posts is purely provisional subject to final Orders on pending Writ Petitions, if any, filed at Madras High Court and Madurai Bench of Madras High Court. 6. Reservation of appointment to Destitute Widows and Ex-Servicemen will not apply to this recruitment . No turn for reservation to Differently Abled Persons arise in this recruitment. 3. Applicants should enter the Unique ID and password to view the already available information and update them. One-Time Registration is not an application for any post. It is just a collection of information from the applicants and giving a separate dashboard to each applicant to facilitate them to maintain their own profile. Applicant who wishes to apply for any post shall click “Apply” against the post Notified in the Commission’s Website and use the same USER ID and PASSWORD given for ONE-TIME REGISTRATION. 4. Select the name of the post or service for which the applicant wishes to apply.) Applicants are required to upload their photograph and signature as per the specifications given in the Guidelines for Scanning and Upload of Photograph and Signature. An Online application uploaded without the photograph, specified documents and signature will be rejected. 5. The Online Application can be submitted up to 29.06.2018 till 11.59 p.m., after which the link will be disabled. UPLOAD OF DOCUMENTS The candidates must upload / submit the necessary documents whenever called for specifically by the Commission. 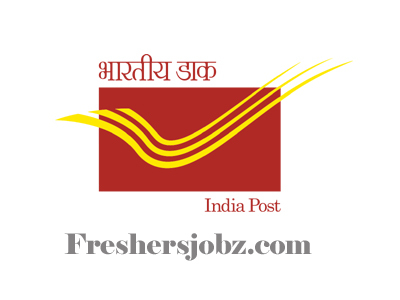 India Post Office Recruiment Notification 2018.India Post Office has released a notification for the recruitment of Staff Car Driver vacancies.Check the eligiblity and notification prior to apply for the positions. 2. Educational Qualification: Pass in 10th Standard from a recognized Board or Institute. 3. Experience & Others: Possession of a valid driving license for light & heavy motor vehicles. Knowledge of Motor Mechanism (The candidate should be able to remove minor defects in vehicle) .Experience of driving light & heavy motor vehicle for at least three years. 4. Desirable qualification : Three years’ service as Home Guard or Civil Volunteers. Photocopies of the following certificates self certified by the candidate: i)Age proof, ii) Educational Qualification, iii) Driving experience certificate as indicated at Sl 1(b)(iii), iv) SC/OBC/ESM certificate issued by Competent Authority, v)Driving License, vi) Technical Qualification, vii) Copy of citizenship certificate/Permanent Residential certificate or any certificate issued by State/central government to show Indian Citizenship. 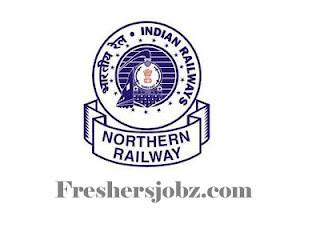 The applications should be sent in an envelope duly superscripting the post applied for and addressed to ‘The Senior Manager, Mail Motor Services, 139, Beleghata Road, Kolkata ‐700015’. The application should be sent through Speed Post/Registered Post only & the same should reach within a period of sixty (60) days from the date of publication of this advertisement in Employment News by 1700 Hours. Applications received by other means will be rejected. Application(s) without complete information or without copies of certificates/documents or the application(s) enclosing copy/ copies of the certificate(s) without self‐certification will be rejected straight way without any notice or information. EIL Notification 2018.Engineers India Limited has released a notification for the recruitment of DGM, Jr. Accountant, Engineer/ Dy Manager posts in construction, warehouse, planning, chemical disciplines.Check the eligiblity and notification prior to apply for the positions. For the all the above posts the qualification is BE/ Ba.Tech/ graduation/ bachelor’s degree from a recognized university with relevant experience. Candidates age can be up to 45 years. Upper age limit for OBC is 05 years, SC/ST is 03 years. For Jr. Accountant post candidates will be selected through written test and for remaining posts the candidates will be selected through interview session. IAF Recruitment 2018.Indian Air Force has released a notification for the recruitment of Commissioned Officers in Flying and Ground Duty (Technical and Non-Technical) Branches.Check the eligiblity and notification prior to apply for the positions. Flying Branch: 20 to 24 years as on 01.07.2019. Ground Duty (Technical/ Non-Technical) Branches): 20 to 26 years as on 01.07.2019. Registration for online applications: 16.06.2018 to 15.07.2018. 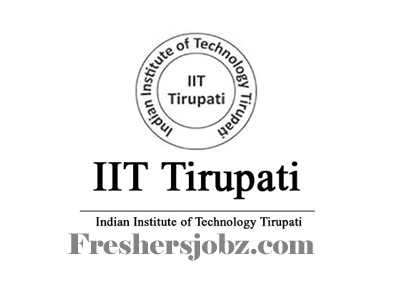 IIT Tirupati Notification 2018.Indian Institute of Technology Tirupati has released a notification for the recruitment of Regular staff positions.Check the eligiblity and notification prior to apply for the positions. Qualification: Diploma, Bachelors/ Masters Degree with experience. Candidates possessing the requisite qualification and experience may apply online only (http://iittp.ac.in/recruitment). The online application portal will be opened on 16th May 2018 for filing online applications and the last date for closing the online application interface is 8th June , 2018. Application in the prescribed format downloaded from the system and the application fee receipt superscribing on the envelope ÄPPLICATION FOR THE POST OF_________________________ ”should be sent to The Registrar I/C, IIT Tirupati, Renigunta Road, Tirupati – 517506 on or before 15-06-2018 along with self attested photo copies of supporting documents (both experience and all the qualifications). Non-receipt of these documents will be considered as incomplete application and their online application will not be considered. Last date for online registration: 08.06.2018. Last date for receiving the application and other documents: 15.06.2018. MPPSC Notification 2018.Madhya Pradesh Public Service Commission has released a notification for the recruitment of Sports Officer & Librarian vacancies.Check the eligiblity and notification prior to apply for the positions. Graduation in library science is the qualification for librarian post. Graduation in physical education/ sports science is the qualification for officer post. Between 21 to 44 years candidates can apply. Age relaxation for SC/ST is 05 years, OBC is 03 years. Through online exam/ PET candidates will be recruited. Application fee for applicants is Rs.1000/- and extra Rs.150/- for GST. 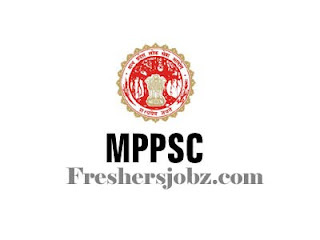 To apply for MPPSC Librarian & Sports Person recruitment candidates can apply through online mode from 05th June 2018 to 04th July 2018.Through http://www.mppsc.com/apply_online.htm candidates can apply directly. 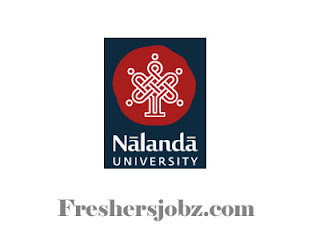 Nalanda University Notification 2018.Nalanda University has released a notification for the recruitment of Assistant & Associate Professors vacancies.Check the eligiblity and notification prior to apply for the positions. No. of teaching and non-teaching posts to be filled are various. Vacancies in different disciplines are given below. All the national and international applicants should possess minimum five publications. Candidates age must be as per university rules. Selected candidates as assistant & associate professors will get pay based on their experience. Candidates can refer official notification for recruitment process. Candidates can forward applicants CV along with relevant documents/ certificates. 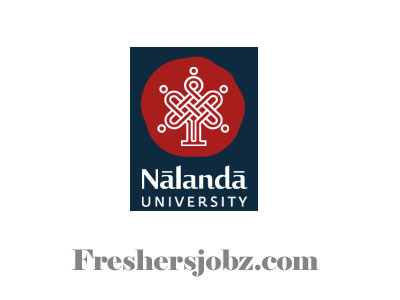 Forward CV to recruitment@naladauniv.edu.in within two weeks from date of advertisement i.e 12th June 2018. SFIO Notification 2018.Serious Fraud Investigation Office has released a notification for the recruitment of Assistant Director and Senior Prosecutor posts on deputation/ISTC basis.Check the eligiblity and notification prior to apply for the positions. Selected candidates will get monthly pay Rs. 47600/- Rs. 1,51,00/- for Assistant Director posts and Rs. 56, 100/- Rs. 1, 77, 500/- for Senior Prosecutor posts. 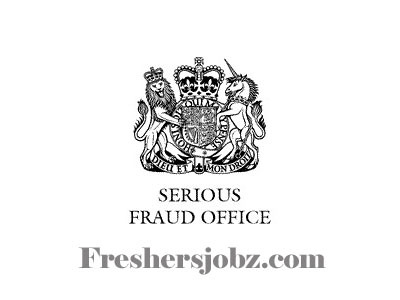 Director, Serious Fraud Investigation Office, 2nd Floor, Pt. Deendayal Antyodaya Bhawan, B-3 Wing, CGO Complex, Lodhi Road, New delhi-110003. SPSC Recruitment 2018.Sikkim Public Service Commission has released a notification for the recruitment of Agriculture Development Officer/ Watershed Development Officer/ Horticulture Development Officer vacancies.Check the eligiblity and notification prior to apply for the positions. 2. Qualification: B.Sc (Agriculture) from a recognized University. 3. Other Qualifications : a).Should be conversant with the customs and usages of Sikkim. b). Should have knowledge of any of the State Languages. c). Should have valid local Employment Card. Age: Should have attained the age of 21 years & should not have exceeded 40 years as on 30/04/2018 in terms of Notification No: M(3)/(55)/GEN/DOP/Pt-III DT: 03/07/2017. 1. The candidates are advised to apply online from our website http://spscskm.gov.in/ on or before 30/06/2018 upto 12 midnight. Application submitted after 30/06/2018 will not be accepted by the software and SPSC will not be responsible for the same.Candidate should go through the advertisement and read the instructions provided on the web page carefully before applying online. Applications received through any other mode shall not be accepted and summarily rejected. 2. Candidates are directed to bring a Photo Identity proof like (Aadhaar Card, Voters Card, Driving License) alongwith valid e-Admit cards in the examination centre for proof of identity.Rejection list of candidates who do not qualify for the post as per the advertised criteria will be uploaded in the SPSC website on 09/07/2018 and if any of the rejected candidates have reservation on rejection of application, they should submit their grievances along with justification to the office of the Controller, SPSC w.e.f. 23/07/2018 to28/07/2018. 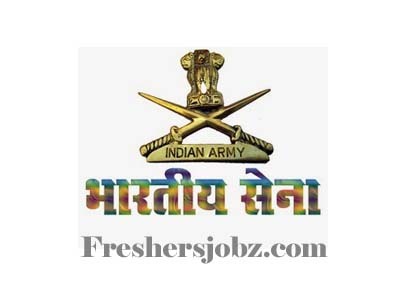 Indian Army Recruitment 2018.Indian Army has released a notification for the recruitment of Soldier General Duty, Soldier Nursing Assistant and more vacancies for for eligible candidates of districts – Fatehgarh Sahib, Barnala, Mansa, Sangrur and Patiala (Punjab).Check the eligiblity and notification prior to apply for the positions. 10+2/Intermediate exam pass in Science with Physics, Chemistry, Biology and English with 50% marks in aggregate and min 40% in each subject. OR In case the candidate has a BSc Degree with (Botany / Zoology / Bio-Science) and English, the stipulation of percentage in Class 12th is waived off. However, the candidate should have studied all the four specified subjects in Class 12th also. (a) Admit Card Printed with Laser Printer on good quality paper (Do not shrink the size). (b) Photograph Twenty copies of unattested Passport size colour photographs developed on good quality photographic paper in white background not more than three month old. Computerised/photoshopped photographs will NOT be accepted. (c) Education Certificates Education Certificates with marks sheet in original of all educational qualifications achieved by candidate i.e Matric / Intermediate / Graduation etc from recognised School / College / Board / University. Degree holder candidate will produce Provisional/Original Degree issued by University. (d) Domicile Certificate Domicile Certificate with photograph issued by Tehsildar /District Magistrate. (e) Caste Certificate Caste Certificate affixed with photograph of the candidate issued by the Tehsildar/District Magistrate. (f) Religion Certificate Religion Certificate issued by the Tehsildar/SDM. (If religion as “SIKH/HINDU/MUSLIM/CHRISTIAN” is not mentioned in caste certificate). (g) School Character Certificate School Character Certificate issued by the School/College Principal/Headmaster. (h) Character Certificate Character Certificate with photograph issued by Village Sarpanch/Municipal Corporation within last six months. (j) Unmarried Certificate Unmarried Certificate for candidates less than 21 years of age with photograph issued by Village Sarpanch/Municipal Corporation within last six months. 1. Administration. Candidates are advised to bring sufficient eatables and drinking water with them since recruitment is a time consuming process. 3. Recruitment into the army is a free service. Candidates are advised not to pay bribe to anyone for recruitment as it is based purely on merit. Selection process during recruitment at all stages is computerised and transparent. Therefore, candidates are advised to be beware of touts as they cannot help them at any stage. 4. Candidates are advised to check their age & education criteria before participating in the rally. Candidates found under age/overage and not meeting education criteria will be disqualified. 5. Giving/taking bribe, production of bogus/fake certificates and indulging in unfair means is a criminal offence and liable for punishment under law. Certificates with overwriting, tampering of seals or erasing/alteration of any type will not be accepted. 6. All documents submitted by the candidates are verified by government agencies before enrolment into Army. Strong legal action will be taken against individuals submitting fake documents. Even after recruitment, the service will be terminated if candidates are found to have produced fake documents or gave wrong information at the time of recruitment, despite the number of years of service individual may have rendered. 7. No compensation for Death/injury/loss etc during the rally and no travelling allowance/dearness allowance for journey is admissible. Candidates will participate in the rally at their own risk and the participation is totally and entirely voluntary. The signing of Indemnity Bond is a mandatory requirement. Physical Fitness Test, Medical Test, Written Test through Common Entrance Examination (CEE). 1. Army Recruitment Rally will be held for eligible candidates of districts – Fatehgarh Sahib, Barnala, Mansa, Sangrur and Patiala (Punjab) from 01 Aug 2018 to 13 Aug 2018 at 1 ADSR ground (Opposite Flying Club, Patiala-Sangrur Road), Patiala. Gates will be open from 0300hrs and will be closed by 0700hrs on each day. Northern Railway Notification 2018.Northern Railway has released a notification for the recruitment of Junior Engineer, Steno, Multiple Vacancies.Check the eligiblity and notification prior to apply for the positions. 1. Retired employees should not have been retired under the safety related retirement scheme (LARGESS). RemovedfDismissal/compulsory/voIuntarily retired employees are not eligible for re- engagement. Safety record for last 10 years and/or service record for 5 years shall be examined of the willing candidates. 2. Candidates must not have undergone any major punishment (Under D&AR) as a Railway employee for the above period. Medical fitness of the appropriate category is mandatory Maximum age limit for such re-engagement shall be 65 years. 3. As per latest guidelines of Railway Board (RBE No. 193/2017) the scheme is valid up to 01.12.2019. Monthly remuneration of a retired employee being re-engaged be determined by reducing pension from his/her last pay drawn (i.e. basis pay + DA) and not entitled of any incentive as serving employee. Suitable/competency of the staff shall be adjudged and record of safety as well as other. Applications already submitted in response to earlier notification Of this office dated 25.05.2018 shall also be considered. Hence no need to reapply. Last date Of submission of application is 25.06.2018. 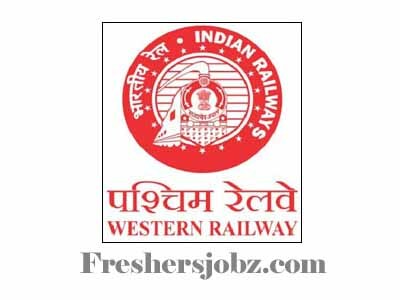 Western Railway Recruitment 2018.Western Railway has released a notification for the recruitment of Junior Engineer, Steno and more vacancies.Check the eligiblity and notification prior to apply for the positions. Age of the applicant should not be exceeding 63 years 6 months as on the last date notified for submission of application in the notification. 1. Monthly remuneration of a retired employee being re-engaged shall be determined by reducing pension from his / her last basic pay drawn (i.e Basic Pay + DA). 2. The selected Diesel/Electric Loco Pilot and Guards will be utilized on non-running duties only such as Lobby Supervisors/PCRs etc. Selected staff will execute an aqreement with administration to abide bv all the terms and conditions for re-enqaqement. First the applicant has to register himselfiherself by providing his basic details and for which Open link : htlp://203.153.40.19/bct or download ekarmik bct application available in Google Playstore. i) First go to Applv Now option. ii) Then go to Applv for Temporarv Form. iii) Press applv button of the concerned notification. iv) Login to Dashboard / Reqister New User page will appear. vi) Select Other in Combo box and enter your valid Mobile No. and other basic details & press Send OTP. vii) Enter OTP received on your Mobile and click Save button. viii) You will get message that Emplovee Added Successfullv. x) Again Loqin to Dashboard / Reqister New User will appear *!l fOain enter vour Reqistered Mobile No. and press SenU Ofp. xii) Enter received OTP and click Loqin. xiii) Application form will appear. xiv) Fill up the details in fields carefully and then save Draft button. xv) The form will be saved temporarily. xvi) Again go through the details filled by you carefully and press Save Final to complele final process of submission of your application. xvii) After successfully completion of the above process, you will get Ref. No. on screen and as well as you will get text message on your registered Mobile No. 1. The retired staff can only apply ONLINE on our Official website http://203.153.40.1g/bct (ekarmik) and as well as throuqh Mobile on ekarmik bct downloadable application availible in Gooqle Plavstore & can also download the notification. 4. 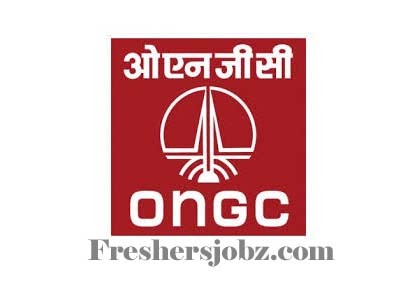 Retired staff mav apply only for same category /trade /qrade from which he/she retired and they will not be enqaqed in a post lower to post from which he/she retired. 5. The administration has the liberty to terminate the services of the re-engaged employees anytime with notice of 15 days in case their worUconduct is found unsatisfactory. 6. The employees who were removed/dismissedicompulsory retired as a result of disciplinary action or in service Review are not eligible for re-engagement. CUR Notification 2018.Central University of Rajasthan has released a notification for the recruitment of Assistant & Associate Professor vacancies.Check the eligiblity and notification prior to apply for the positions. Applicants should have completed B. Tech degree/Post graduation/Masters Degree in the above subjects from any recognized university. The mode of selection will be done by conducting the interview. Aspirants have to pay the application fee Rs. 1500/- for general/OBC category. 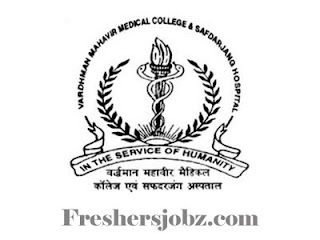 VMMCSH Recruitment 2018.Vardhman Mahavir Medical College and Safdarjung Hospital has released a notification for the recruitment of Staff Nurse vacancies.Check the eligiblity and notification prior to apply for the positions. 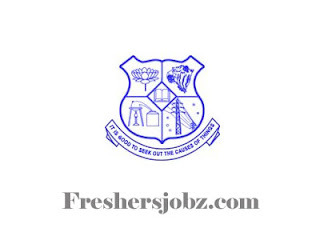 Candidate Must Have B.Sc Hons./B.Sc. 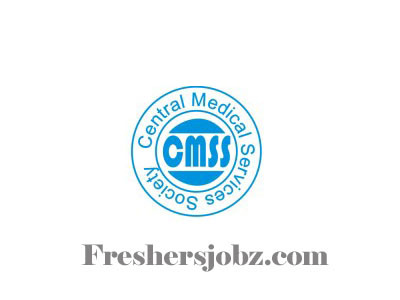 in Nursing or Post Basic B.Sc Nursing And Having Registered As Nurse or Nurse And Midwife. Having Diploma in General Nursing and Midwifery and Registered As Nurse or Nurse And Midwifery and Having 1 Year Experience in 50 Bedded Hospital. Mode of Payment:Candidate Can Pay Through Demand Draft in favour of Medical Superintendent, Safdarjang Hospital, New Delhi. Date For Walk In Interview:25/06/2018. 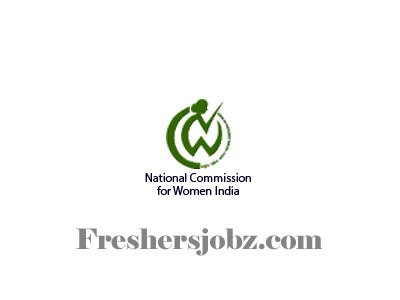 NCW Notification 2018.National Commission for Women has released a notification for the recruitment of Assistant, Stenographer and Secretary vacancies.Check the eligiblity and notification prior to apply for the positions. Candidates should have possessed Degree/Bachelors degree/Masters Degree from any recognized university. Applications will be accepted in a prescribed format at the below address.